We’ve answered the question, “Where is my furnace?”, but what about people with ductless mini-split systems? Ductless mini-split systems use heat pump technology, but do not rely on a ducted forced air distribution system. You may have seen one in a hotel or motel room—conditioned air gets sent directly into the room by an individual wall- or ceiling-mounted blower. This gets rid of the need for air ducts completely and any associated energy losses from leaky ductwork. Each indoor mini-split units will have its own temperature control, creating HVAC “zones.” This allows you to maintain different temperatures in different areas of your house, meaning that you no longer need to heat or cool your entire home to raise or lower the temperature in one room/zone. Learn more benefits of ductless mini-splits. Where is my ductless mini-split system? There are multiple indoor units (up to eight) per outdoor heat pump. For instance, you might have one unit in the kitchen, another in the living room, one on the second floor, and the fourth in the finished attic. A small conduit in the wall houses the electrical and refrigerant lines that get connected straight to the heat pumps. Where is my indoor unit? 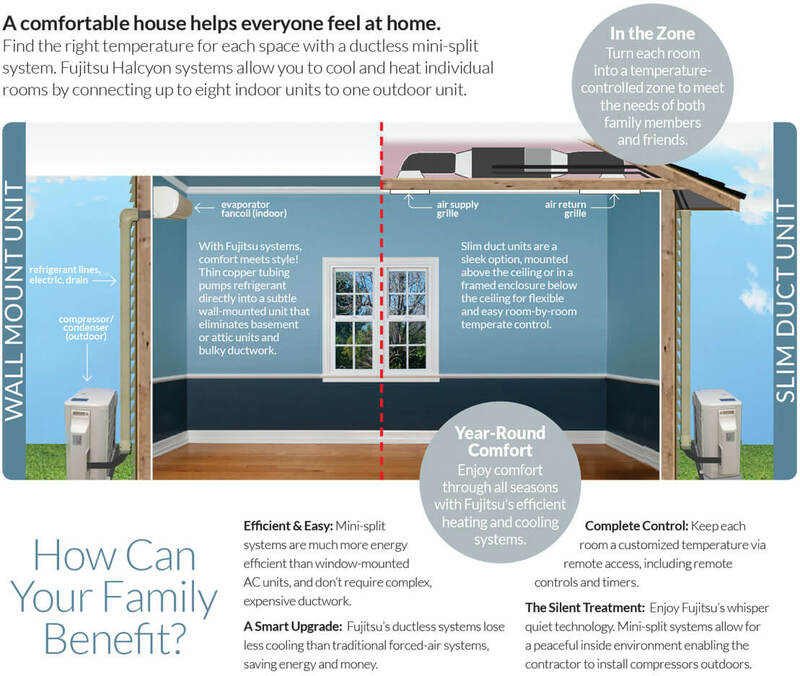 Normally, the indoor mini-split unit is located high on a rigid, interior wall so air can spread over the entire room. It should also be away from any sources of heat or steam. Unfortunately, the placement of each of your indoor units depends on your home and preferences. It’s impossible to know exactly where your indoor units are located. Where is my outdoor unit? 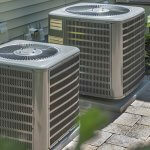 The outdoor heat pump(s) will be located somewhere around the perimeter of your home. In some cases, the heat pump may be on the roof. It looks the same as any outdoor central air conditioning/heat pump unit. Where is my ductless mini-split air filter? Each indoor mini-split unit will have its own air filter. You can usually access it by opening up the front panel and removing the filter(s). There may be multiple air filter elements, such as a nano platinum filter and anti-allergy enzyme filter. Most ductless units have filters that needs to be cleaned with water. You should check/clean your ductless mini-split air filters every 2 weeks. As with any HVAC system, you should clean the filters regularly to improve airflow, efficiency, and indoor air quality. Additionally, dirty mini-split filters can cause dirty condensate to gather and contribute to blockages and mold growth. Do not touch any metal parts. Lift the front panel. You may have to remove it completely. Wipe area with a soft dry cloth. Remove dust and dirt by washing the filter with mild detergent and water. Make sure all the soap is rinses away. After washing, dry it well in shade. Check your owner’s manual for specific instructions and information on correct filter replacement parts. If you need to clean the filters, separate them first, then clean them with water and a mild detergent. Wait until they are completely dry before replacing them. To put your clean filter back into the unit, open the front panel and slide the filter into its tracks by pressing down on both ends until you hear it snap into place. There may be two little tabs at the bottom that clip into place. Schedule annual maintenance from a professional twice a year, once in the fall and once in the spring. 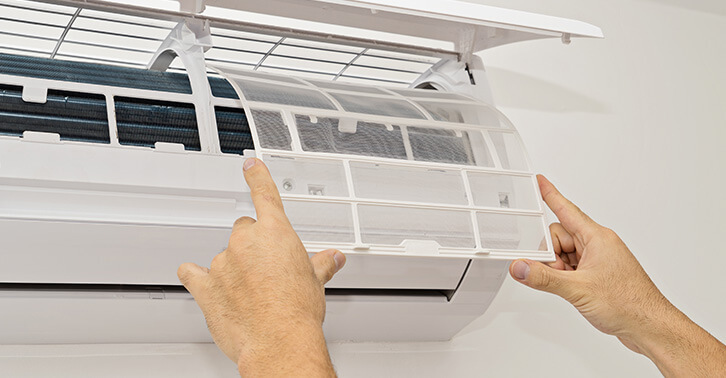 Regularly clean or replace your air filters—every 2 weeks for ductless mini-splits. Regularly check the condition of your outdoor unit to make sure there are no leaves, grass clippings, or debris blocking airflow. Seal up air leaks and improve insulation. Hire a certified ductless mini-split professional if your unit ever requires more than basic maintenance. If you have any questions about ductless mini-split units, don’t hesitate to Ask a Champion. A trained professional will be able to make sure everything is functioning safely and efficiently. They will also drain your condensate hoses, identify refrigerant leaks, and look for dirty, loose, or malfunctioning components. With regular maintenance, your ductless air conditioning system can keep you comfortable all year round, without blowing energy bills through the roof. We recommend scheduling professional HVAC maintenance twice a year—once in the fall for heating and once in the spring for cooling. 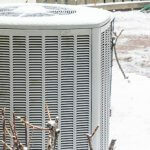 This will make sure your heating and air conditioning system is at optimal levels. Ductless mini-splits are a great option for our Northern California neighbots. 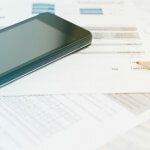 Learn how to find a reputable HVAC contractor. Or you can save yourself some time and simply call the professionals at Service Champions for expert ductless mini-split installation, repair, and maintenance.